The house was located in the queue of the JAWS attraction, which at the time was shut down for an extensive three-year renovation project, and to this date has been hailed as one of the most detailed and frightening experiences Universal has had to offer. Gates opened at 6:00PM each night till 12:00AM. Single Night Admission: $12.95 + tax, $15.95 Day of Admission. Watch as a full cast of madmen and monsters wreak havoc and mayhem within the walls of the Dungeon’s dark depths! Fright Nights featured no Scarezones. 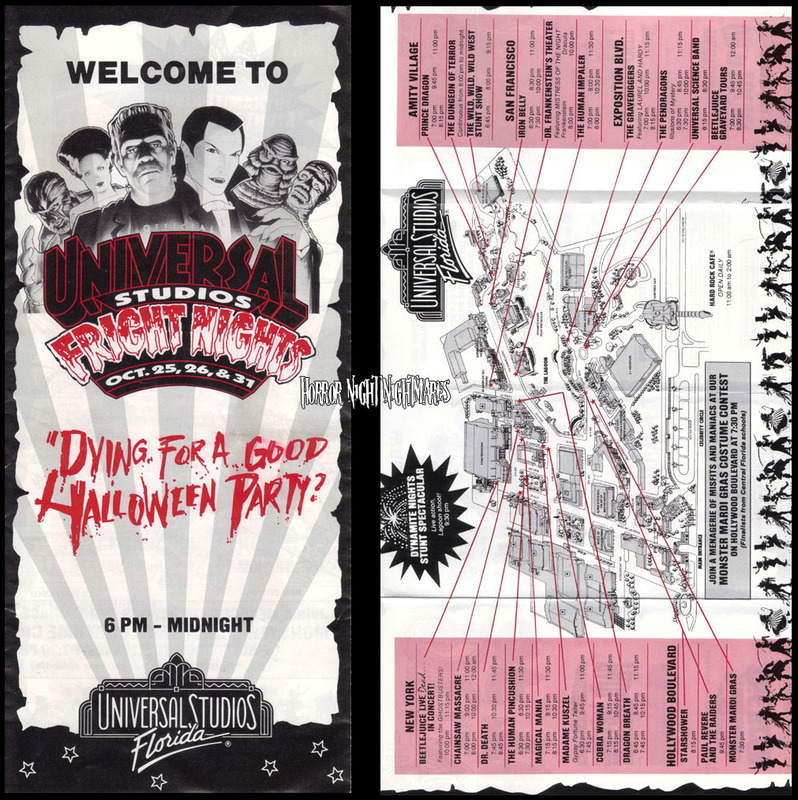 Scarezones were not featured until 1994 at Halloween Horror Nights IV.